Maple Systems is a leading value-added distributor of operator interface products including touchscreen HMIs, Panel PCs, and text-based OITs. 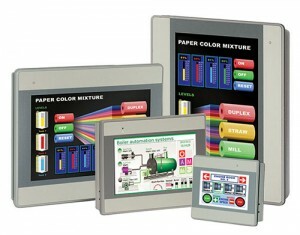 For 32 years, Maple Systems has been a leader in industrial controls specializing in high-quality: Touchscreen HMIs, Panel PCs, and Operator Interface Terminals. Supplying affordable solutions for industrial, OEM, automation, and municipal applications, our products are utilized in industries such as control automation, engineering, food and beverage, design, packaging, and more. Maple Systems provides complimentary technical support, many Class I, Division 2 certified models, and outstanding customer service. Maple Systems is your Industrial Control Solution. Contact us today!